With the growth of PPC advertising and email marketing, maximizing conversion rates on campaign landing pages has become a priority for many online marketers. The need to build campaign-specific landing pages is now widely accepted. However, what is not so widely understood is how to build landing pages that deliver. 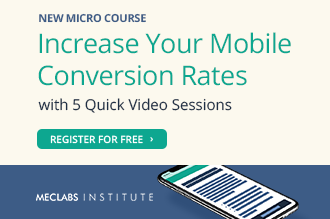 In our most recent research we addressed the broad question: Which changes to my landing pages will deliver the greatest increase in conversion rates? 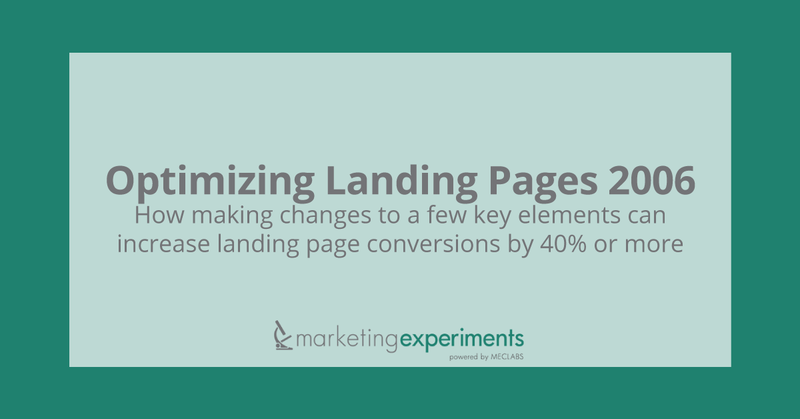 More specifically: Which elements on a landing page have the most impact on conversion rates? In a previous brief, we provided an introduction to landing page optimization. If you have not already reviewed that report, you may want to do so now. Our first test covered a two-week period in April of 2006. Our primary objective was to determine whether a small number of specific changes to an offer page would improve overall conversion for a company selling hypnosis products. 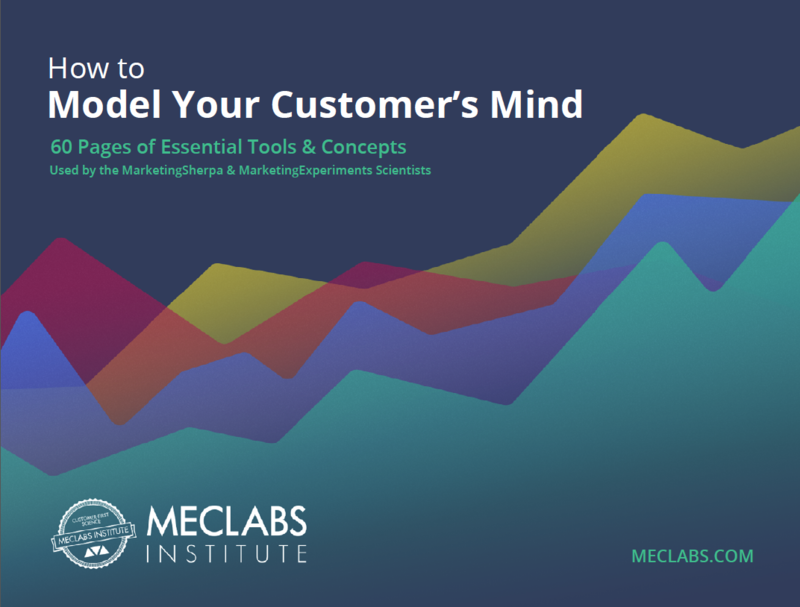 We applied the Marketing Experiments Variable Cluster Testing Methodology. In this way we were able to test multiple variables with a single factorial “A/B Split Testing” test design. Improved credibility factors, including photo, credentials, and signatures. Greater visibility was given to testimonials, and it included a money-back guarantee. What You Need To UNDERSTAND: Conversion improved by more than 40% by making a number of key changes to the original page. It’s important to note that the headline and body copy of both pages were identical. An improved eye path, and improved credibility factors (photo, credentials, and signature) all led to the overall conversion improvement. KEY POINT: Begin with a variable cluster test to establish a new control page with improved performance. This is the fastest way to improve page results and increase revenues. 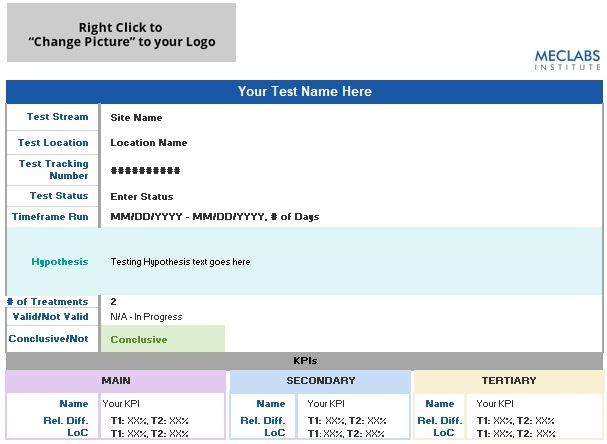 Then follow up with A/B split tests of individual elements on the page to further increase the page’s performance. with and without the photograph. with bold text to strengthen the eye path. with change in the design and text of the “Add to Shopping Basket” button. with more time-urgency built into the offer. For more on A/B testing, see our recent report on that topic. 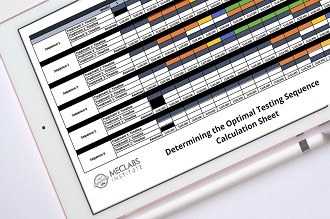 Our second test sought to determine the optimal presentation of information for a discount health care offering. Unlike our first test, this test was sequential. What You Need To UNDERSTAND: The short copy page performed 14% better than the long copy page. In the past, we have generally found that long copy out-pulls short copy for many sites. But as the above results show, this does not always hold true for every business. However, there may have been other factors in the second testing period that caused the long copy to perform poorly. For example, the company in question made some changes to their PPC campaign during the second testing period. This may have resulted in a different quality of traffic to their site. KEY POINT: A sequential test can quickly help you improve the performance of a page, and guide your thinking on what to test next. But remain aware that by testing sequentially within two separate time frames, your results may be skewed by outside factors. For more on long copy vs. short copy, see our report on that topic. If we create two versions of a page, one with the price shown, and one without, which would result in users clicking deeper into the site? What impact will removing the product price from the landing page have on overall site conversion? The period of testing was two weeks. What You Need To UNDERSTAND: By removing the price from the landing page, conversion dropped by 6.6%. The following list of guidelines is expanded from our previous work on landing pages. They should help you derive the greatest success from your page optimization efforts. Are you sending people to the right landing pages? If you are using any paid advertising (such as PPC engines) where you can choose the landing pages of your campaigns, it is essential that the visitor is directed to the most specific page related to the keyword or product they clicked on. In the majority of cases, this is NOT your homepage unless you have very few products or a small service offering.For example, if someone searches Google for “Canon digital camcorder,” you have a much better chance of closing a sale if you send them directly to a page featuring Canon digital camcorders (complete with pictures, products specs, price, and so on) than if you were to send them to the homepage of your camera retail site. Including you keyword “Canon Digital Camcorder” in your headline of that landing page has also proven to improve conversion rates and is worthy of testing. Did you have the lowest price? A special promotion or offering? The highest ranking on a search engine? A specific keyword from a pay-per-click campaign? Using the information developed in point 2, design your landing pages specifically for the reason they clicked through.For example, if you had the lowest price make sure you include headline text such as “The lowest price on Dealtime.com.”If you have the highest company rating, use text like “The highest rated company on ResellerRatings.com” (and include your actual rating).If they clicked because of a special promotion or 10% discount, use a headline that applies the discount to the product they clicked. Ratings from sites such as BBBOnline, Bizrate, ResellerRatings.com etc. Site security and protection indicators (Verisign, Trust-e, Thawte, SSL Certification, Hacker Safe). Testimonials from your existing customers. Utilize effective sales copy that is devoid of hype. Focus on implying integrity and accuracy. Review our article “Transparent Marketing” for information on how to earn the trust of skeptical online shoppers. Do not overwhelm the visitor with too much information on the page. Strategically placed bold, colored, highlighted, italicized, or enlarged fonts can help to organize content for the reader. Beware of using long paragraphs on the Internet. Use bullets, headers, and white space. Allow the page to breathe. Test background colors, link style, and button styles. Many times marketers do not realize the impact background colors, links, and button styles have on the effectiveness of websites, but our recent multivariable test makes the impact very clear. Here are some best practices from our multivariable and A/B split tests. Drop shadows and “3-D” looking buttons: these effects make the buttons look more “clickable” and easier for the customer to find. The full multivariable report is available here. If your landing page includes any sort of forms, only require the least amount of information possible to achieve your objective. You should design your pages and forms with the least amount of “friction” as possible. Test your offer price. If you are charging too much or too little for your product or service, the other optimizations will lose some if not all of their effectiveness.For more on testing your offer price, see our recent report on that topic.